I am pleased to announce that the Law Office of Aaron Black has been selected as the 2016 DUI Super Lawyer in Phoenix. Every year Super Lawyers selects attorneys throughout the United States from firms of all sizes and over 70 practice areas. Annually Lawyers are invited in each state to nominate top attorneys that they have personally observed in action and throughout the year although readers and clients are not eligible to place a nomination they can also send names of lawyers for consideration. 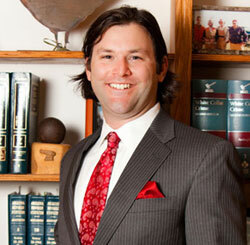 The process also includes independent research by Super Lawyers and peer evaluations by practice areas. Having been nominated as a Super Lawyer since 2013 this year in particular is exciting as there were only three DUI Super Lawyers nominated in Arizona and New Mexico this year. Two of the attorneys are from Tucson and I am the only Phoenix Attorney that won the nomination. I feel that being nominated is a testament to my continual dedication to my clients and I am very proud of the fact. I have spent countless hours in the courtroom, argued over 50 trials, and I’ve become an extremely experienced litigator. My goal as a Phoenix DUI attorney has always remained the same, keeping my clients out of jail and dismissal of their case as I understand that good people sometimes find themselves in bad situations. As always if you are facing DUI charges in Arizona, it is essential that you speak to a lawyer who has a clear understanding of the complexities of DUI laws in Maricopa County. Though the evidence may seem overwhelmingly against you, you need an experienced attorney to draws from their extensive history of DUI defense to provide the most compelling defense strategy for your individual case. If you are facing DUI charges in Arizona, don’t take chances with your future. Click here to contact Aaron or call today for a free consultation at 480-729-1683.